The first step in treating skin cancer is diagnosing it. If you have a funny looking lesion, don't wait to have it evaluated. Cancer is a scary subject to discuss. Skin cancers occur very commonly and they are often not primarily found on the feet, which makes it much more dangerous when they are found because it often means that the diagnosis was missed. There are a three main types of skin cancers and not all are easy to identify. My hope for this article is to provide some general information about the appearance of skin cancer. Any questionable lesion on the skin should be evaluated by a professional and don’t be fooled - the worst skin cancers are nearly never painful. When discussing cancer, the term malignant is used when discussing a cancer which can spread to other parts of the body and this defines the particular cancer as being more dangerous. Some lesions are pre-malignant which means that they can reside on the skin for a long period of time and then ‘turn’ in a sense, to a dangerous and malignant cancer. There are some things that are important to tell you physician when having a skin lesion evaluated. Think about these things and consider writing down what you have noticed about the lesion for discussion at your visit. It is important to know if the spot or bump you notice has changed recently. Your age also helps your physician in diagnosing possible skin cancer, as in general this is more commonly seen over age 40. If this is a mark on the skin that you have had “as long as you can remember” or were told you were born with it, pay attention to whether it has changed recently. As stated above, skin cancers will often not be painful. However, take note if the lesion is itchy. Is the spot you are concerns about in the area of a scar or an open lesion or ulceration? Have you been going through tube after tube of neosporin to no avail? Underlying medical history also helps guide your physician. Exposure to sunlight and tanning beds, radiationi therapies, cigarette smoking, HPV can all cause cancers. Your family history is also very important. For instance, not only is there a history of skin cancer, but it is also important to know if your family has any history of albinism. Have you undergone an organ transplant or potentially been exposed to HIV or do you have AIDS? The first condition to discuss is actinic keratosis. This is defined as a premalignant lesion and is sun induced. Elderly people with sun exposure in the past will often present with these. When these lesions are diagnosed, there is a topical treatment that can help to prevent the conversion of this skin lesion into cancer. When this lesion does transition, it becomes a squamous cell carcinoma. We will discuss SCC later in this article, but for now just be aware that actinic keratoses can conver to SCC in 2-5% of cases. Bowen’s disease is also referred to as SCC in situ. This lesion can occur on ANY skin surface and appears as a persistent red area of skin with scalying noted. The most common skin cancer is basal cell carcinoma. This cancer is due to skin damage and if you could choose which skin cancer to have, you should choose basal cell carcinoma. What a strange thing to say right? Well, BCC is locally invasive and rarely metastasizes or spreads to other parts of the body. These lesions will present as shiny, pearly nodules on the skin. They will not have a very dark appearance in most cases. It can almost appear as normal skin or a scar. The treatment for basal cell carcinoma is excision of the lesion with margins. Because these skin cancers are very common on the face, there is a special procedure call Moh’s which is recommended as during this procedure, each sample of skin removed is tested individually until a clear zone is found. This minimizes the size of skin loss and has a better long term outcome. Squamous cell carcinoma is a skin cancer that can sometimes look similar to BCC, but also can look like a wart or just a poorly defined red rough patch. 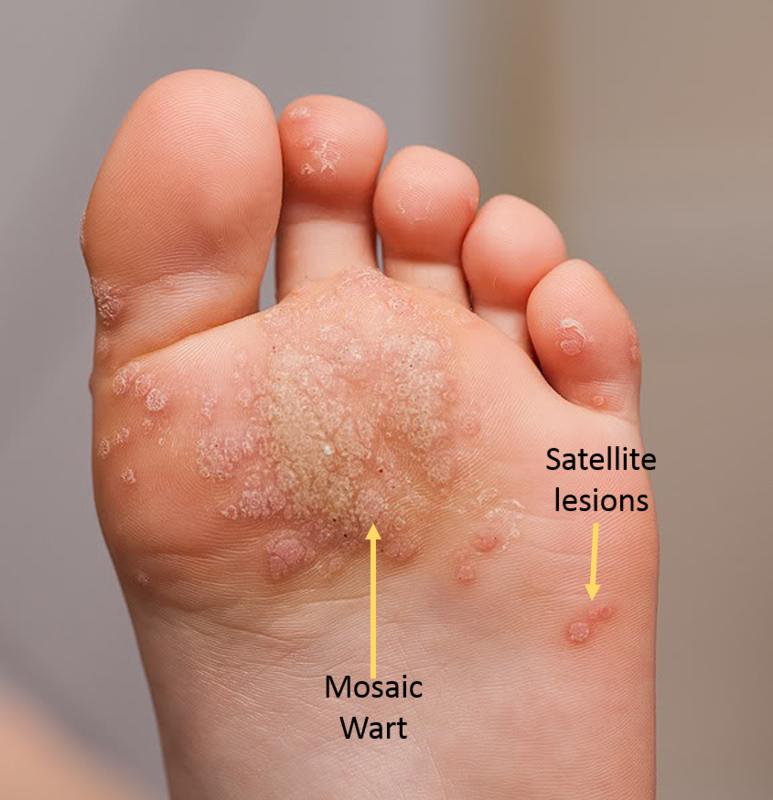 A variant of squamous cell carcinoma that is seen sometimes in the feet is verrucous (“wartlike”) carcinoma. Squamous cell carcinoma is more aggressive than basal cell carcinoma and does metastasize in 0.3-16% of cases. Risk factors for squamous cell carcinoma are age, ulcerations and burns as well as immunosuppression. The treatment for SCC is excision though wider margins need to be taken than in BCC. Malignant melanoma is the most aggressive skin cancer. It is the most common malignancy in women aged 25-29 (think...sun tanning before prom + 10 years). This cancer is see most often in people with fair complexions who have an odd looking mole on the skin. It can be on any part of the skin, but back, chest and arms are most common for men, while the feet are actually most common in women. When malignant melanoma spreads it usually spreads to lymph nodes, lungs, liver and brain. When looking for malignant melanoma, lesions that are questionable will demonstrate assymmetry (can’t fold in half evenly), bleeding of the lesion or an odd looking border, variations in color throughout 1 lesion, larger diameter, changes in short period of time and of course a family history. There are a few different types of malignant melanoma. Superficial spreading is the most common, in which there are lesions all throughout the skin of the body. Nodular melanoma will appear as a non-healing sore on the skin. Acral letiginous is a mouthful, but this is the type of melanoma most commonly seen in the feet. Acral describes the thickened skin that we have on the bottoms of our feet. This type of melanoma is seen more in ethnic skin and in nails as well as that thick skin on the bottoms of the feet. Amelnotic melanoma does not have a darkened appearance in the way that more typical melanoma does. It can look like an ingrown infected toenail that just won’t heal. The prognosis for malignant melanoma depends primarily on the depth of the lesion. Biopsy of the lesion give us some of this information. In addition, a sentinel lymph node biopsy helps to asses for spread of the disease. Lesions that are seen on the head and neck, those seen in a higher aged individual, those in men and those which are found in the foot have a poorer prognosis and increased risk of death from the disease. Biopsies of these skin lesions can be done as an in-office procedure and biopsies are the first step in finding a definitive diagnosis for that spot you may be concerned about. The procedure involves a shot of numbing medicine to the skin and often requires what is called a punch biopsy. This procedure removes a small piece of skin and underlying tissue. Depending upon the size of biopsy recommended, a stitch or steri strip may be required to assist int he site healing afterwards. After the biopsy is performed, the sample of skin taken is sent to a dermatopathology lab for evaluation. Typically diagnosis of the lesion is available within 1-2 weeks. For darkened discolored lines in the toenails, the optimal area for biopsy is actually through the nail and includes the underlying skin - usually under the cuticle (or eponychium) of the nail. 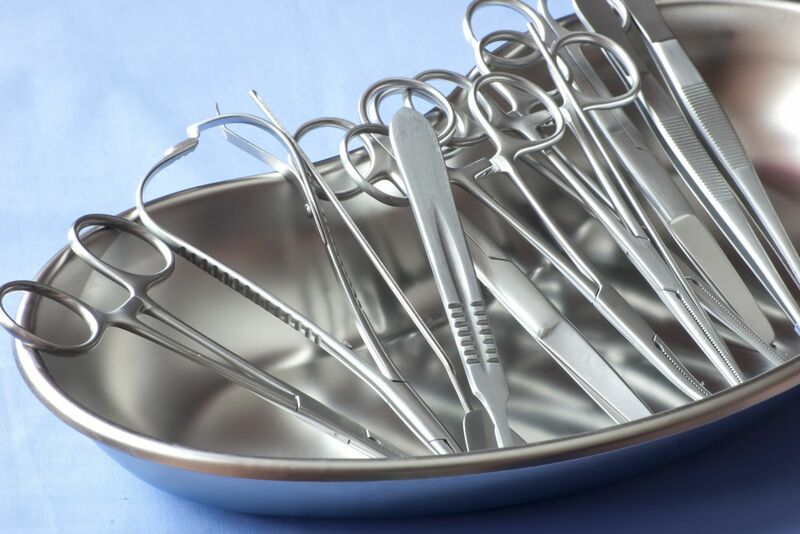 If this type of procedure is necessary, your physician may elect to take you to a surgery center to ensure optimal conditions for performing the procedure as this can be more bloody than the typical punch biopsies. No matter the skin lesion, any changes or concerns you have should be addressed. A simple in-office procedure can set the mind at ease or be the first step in diagnosing and treating skin cancer. Keep in mind also that there are only so many ways that the skin can change in response to injury or cancer. Therefore some scary looking lesions may be completely benign, while others that seem to you are just a mole may be far from it. 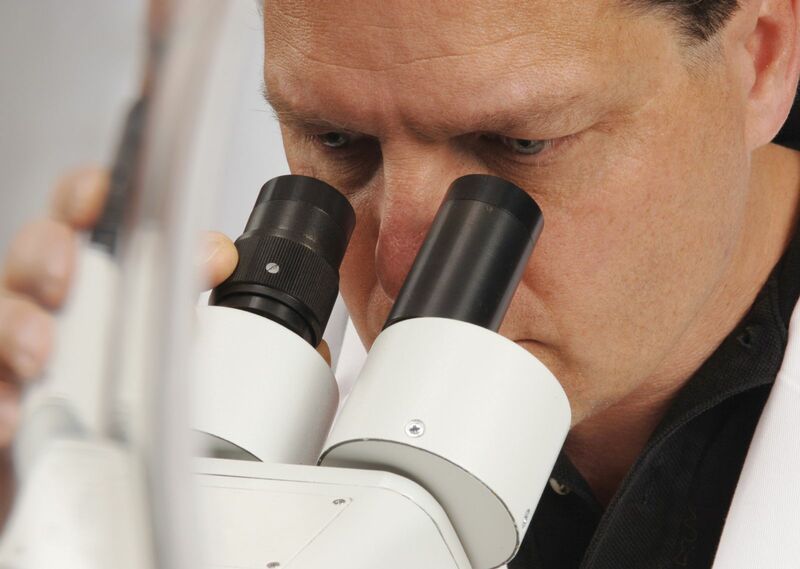 Biopsy allows for microscopic examination of the cells within the lesion which provides the optimal information. Call our office if you think that you may have a skin lesion of concern. If you have a family history of skin cancer, seeing a dermatologist for full skin checks regularly is also critical.